Back to homeschool season is in full swing here at our house. School supplies have been purchased, our schooling area is neat and well organized, and curriculum has been delivered. We’re almost ready to begin! However, before we pick up pencils and dig into our books, we always enjoy one of our favorite back to homeschool rituals, a pancake breakfast at the local IHOP or the nearby diner. And while we wait for our food to be served, we love to play The Back To Homeschool Board Game! It’s a fun and easy to play game that launches great discussion about the upcoming school year and gets us giggling. 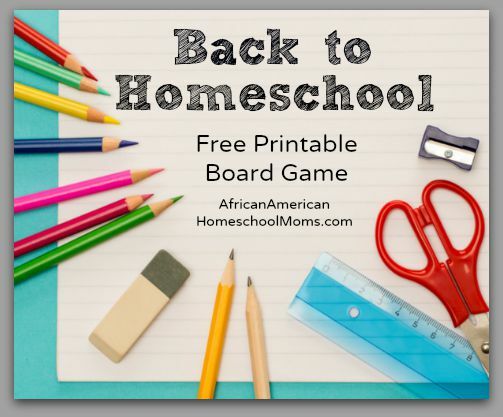 To obtain your copy of The Back To Homeschool Board Game, click the red button Download below. Then, print out the game and laminate it for durability. Grab a few pawns (coins will work too!) and a die and you’re ready to play. Enjoy and may this homeschool year be the best one yet!